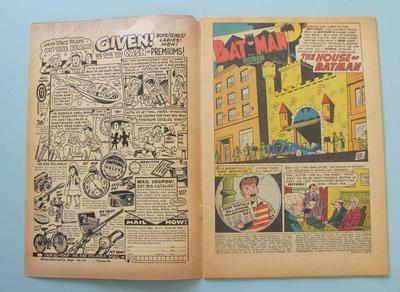 Hello, I've got a Batman #102... 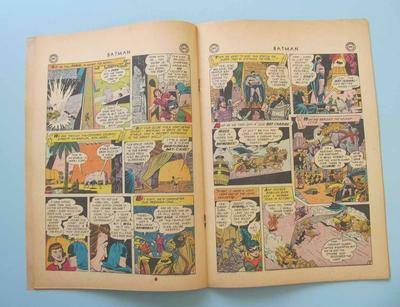 I'm not a grader, could you please tell me the grade of this comic book from the detailed photos I'm going to send you, and how much the overstreet value is for this comic in this condition and especially if it is golden age or like many people say the first issue of silver age. Editor's reply: Hi Roberto, thanks for writing. 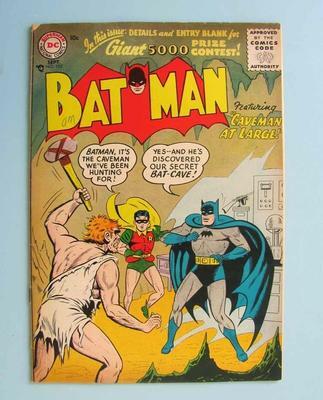 Overstreet calls #103 the first Silver Age issue of Batman comic. So you (just!) 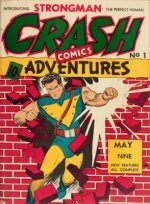 have a Golden Age comic here. 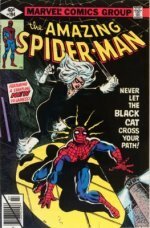 The record price for this comic book to date is $777 for a CGC 9.0, back in Feb 2008. From the photos, your copy looks to be in around the 4.0-5.0 range. It's structurally quite nice, but the water stains to the front covers are a shame, and there's some dust shadows or sunning. The front cover is not bad, though there is some loss to the top left corner from the looks of it, and some spine stress. Click to see finished items on eBay . Items in green found a buyer. 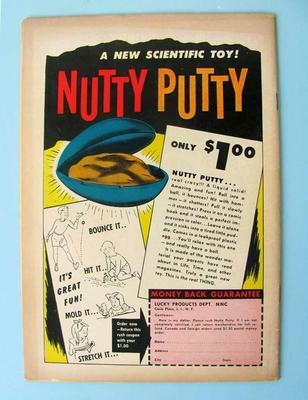 While there are not too many sold, it does seem that comparable condition comics to yours go for around $70-100.